The life and works of Scottish architect and designer Charles Rennie Mackintosh are to be celebrated during a two-week festival in his home city. Theatre, music and exhibitions will feature in the inaugural Creative Mackintosh Festival, which runs in Glasgow from 15 to 28 October. A curtain-raiser for artists and Mackintosh supporters will be held at The Lighthouse venue on Thursday night. It will preview an exhibition of unbuilt Mackintosh works. Among the items on display will be large-scale architect's models of some structures that were designed and drawn but never built. 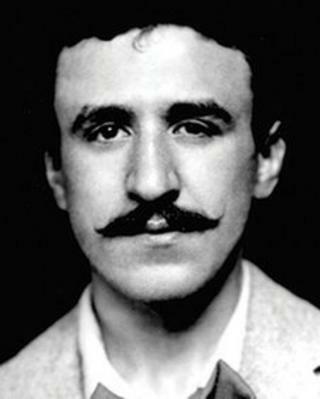 Mackintosh, who lived from 1868 to 1928, was responsible for numerous influential buidlings as well as being famous for his interior design. At the Lighthouse event, Scotland's national poet Liz Lochhead will read her poem, Three Stanzas For Charles Rennie Mackintosh. Caroline Barr, chair of the Mackintosh Heritage Group, said: "Mackintosh and his fellow Glasgow artists started a movement that rippled out across the world. "Sometimes we take our home-grown talent for granted, but now that we are starting an annual festival to celebrate his legacy we hope everyone will be able to find something exciting, inspiring and enjoyable in the works that have been commissioned in his name." Glasgow City Council Bailie Liz Cameron said it was time that Mackintosh was celebrated in an annual festival. "Barcelona has Gaudi, Chicago has Frank Lloyd Wright and Glasgow has the unmistakable Art Nouveau magic of Charles Rennie Mackintosh," she said. "The inaugural Creative Mackintosh Festival represents a fantastic showcase of a world-renowned cultural icon whose innovative and influential style can be seen throughout the city and remains a major draw for international visitors to Glasgow today. "From the Glasgow School of Art and The Lighthouse to House for an Art Lover and the Willow Tea Rooms, the festival programme is as diverse as the venues, featuring a varied range of talented writers, artists, musicians and performers each geared at exploring the fascinating and lasting legacy of the man who helped to transform art and architecture in the early 20th Century."